Jews of Malabar: Anjuvanam - Original brass plate and duplicated Copper plate !!! Anjuvanam - Original brass plate and duplicated Copper plate !!! 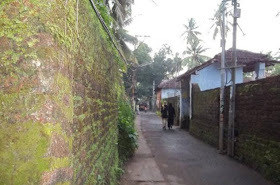 Similarly in Kerala Muslims were known as “Naalam Vedakaar,” (The people who owns fourth Holy book) might be counted along with the Hindus and Christians or in context to the Semitic religion. Another example is of the name for the Knanaya Christians, “Chaaram Kettikal” (mean “one who carry ash”) evolved due to a story that the patriarch of the community Knai Thoman, married a lower caste women who was a washer women. In ancient Kerala the washers use to carry ashes for cleaning clothes in thus name was derived similarly each community had similar names which can were used to denote them. There were many regional usages for each foreign religion which would have involved from a story or historic incidents or facts. Even the title like “Mappila” is one which can be counted along with it. This Jewish plate was granted to a Jewish merchant by the Chera Ruler. Similar plates like Thazhekad Sasanam, The Quilon Plates (Tharisappalli Cheppeds), Mampally Sasanam and Iraviikothan Chepped (Copper Plate) etc. were given to Christians. According to tradition Isuppu Iramban ( Yosef Ramban) was a Jewish merchant, possibly from Yemen, came to Cranganore. Yosef was granted the rank of prince over the Jews by the Chera ruler Eravi Wanwara (Ravi Varma, Eravi Wanwara quoted from translation recommended by Gov. Moens as the accurate translation), and rights to seventy-two "free houses". These rights were engraved on a set of Copper (Brass ??) tablets known as the "Sâsanam", which is believed to be still in the possession of the Jewish community of Cochin. 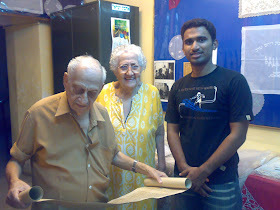 The date of this charter plate can be fixed at about 10th century A.D.
379 A.D by Jews of Cochin. 426 A.D by Dutch Governor Adrian Moens. 490 A.D by Claudius Buchanan. 508 A.D by Bishop Middleton - Thomas Fanshaw. 750 A.D by Sir Charles Allen Lawson. 825 A.D by Thomas Whitehouse. 10th century A.D by Father Paoli Bartholomew. 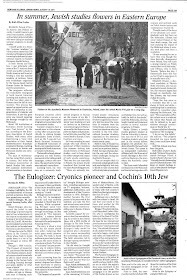 • The date 379 A.D was given by the Senior Rabbi of Jew town, Cochin. Who in 1861A.D had been in-charge of the Jewish charter plate. This date (379 A.D) would have derived from the Kaliyuga year given in one version of the translation and that is 3481 of Kaliyuga, and Kaliyuga started from 3102 B.C of Georgian calendar. Computing in accordance to that corresponding date to 1 A.D is 3102 years, so 3481 Kaliyuga – 3102 years = 379 and that is 379 A.D of Georgian calendar. • 426 A.D by Dutch Governor Adrian Van Moens, the year from same Kaliyuga date but he says that 3481 Kaliyuga is 426 years after the birth of Christ, this can be explained like, Kaliyuga is computed in different date in earlier days and there exists. This date was published in Busching’s Magazine, vol .xiv page 123-154. He also associates the date 426 A.D,with “Noticas dos Judeos de Cochim” which says about the arrival of a group of Jews from the Kingdom of Majorca to Coast of Malabar which happened to be in 4130 of Jewish era, and the date corresponds to 369 A.D. and history says that Balearic Island were subdued by the Vandals exactly in the year 425 A.D and the Jews would have reached here in Coast of Malabar in 426 A.D. so he co-related the arrival of Jews from Majorca and the charter plate and would have computed according to that. And finally the Kaliyuga date in the translation and the flee the Jews of Majorca came almost similar so he would have accepted this date. • Claudius Buchanan, A Scottish theologian gave the date 490 A.D, which he had derived from a Hebrew narrative, of events relating to the arrival of Jews a portion of its English translation is quoted in Claudius Buchanan’s book “Christian Researches in Asia” (Probably this would be a copy which survived the Portuguese attack or recreated portions of Sefer Ha Yasher, which was the most important and the earliest chronicle of Jews of Cochin, passed through generations is said to have been destroyed by the Portuguese when they burned the Cochin Pardesi Synagogue in 1661. There is no evidence of its existence today, so the translated portion can even be just a portion of the tradition recorded). The date is given as 4250 year from the day of creation of the world, i.e. 4250 of Hebrew calendar (would have written as ר״נ or ר״נ ד) and it is corresponding to 490 A.D. He had translated the text from the Hebrew translation of the plates which was in possession of Jews of Cochin and not directly translated from the Sâsanam, the Jewish charter plate, and Buchanan states that the Hebrew translation had no dates mentioned in it. • Sir Charles Allen Lawson mentioned the date as 750 A.D and he even says that the Jews themselves believe it was granted in 500 A.D (would be from the same Hebrew Narrative which was used by Claudius Buchanan) in his book “British and Native Cochin” He gives no evidence for the date given, but as most of the Historians considered the title of “Cheraman Perumal” was the name of a Chera ruler who flourished during 8th and 9th , and he says many supposed that the donor of this Charter plate was renowned Cheraman Perumal, and if so it would have granted during zenith of his power and the date will be 750 A.D.
• Paoli also known as Father Paulinus a Sancto Bartholomaeo or Filip Vezdin, An Austrian Carmelite missionary who was in Kerala between 1776 and 1789.He gave the date would be around 10th century A.D, The Chances of him to give almost exact date of the would be from his acquaintance with the Travancore Royal family, i.e. with Karthika thirunal Rama Varma also known as “Dharma raja”. The royal documents of the Travancore royal family or Rajah would have given the dates and the details about the date of Bhaskara Ravi Varma’s reign. 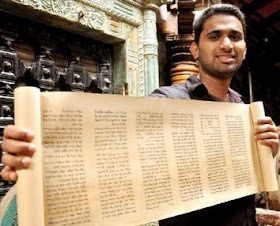 • Apart from that the Rao Bahadur K. Venkayya who was an Epigraphist to Government of India, says that the Vattezhuth script in the Jewish charter plate is written in a very late Vattezhuth, and he is not particular about the date but he says that it might belong to 11th 12th century. So according to this either in 998 A.D or in 1079 A.D the Yemeni Merchant Yosef Ramban, Became the Leader of the Anjuvannam or the Jews. 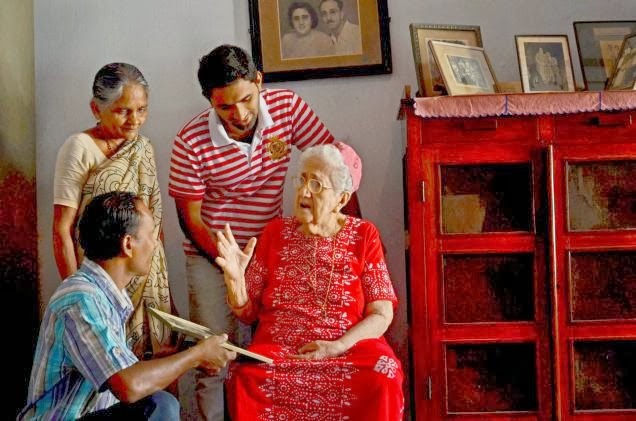 Yosef's descendants continued to exercise dominion over the Jews of the Malabar Coast until a conflict broke out between one of his descendants, Yosef Azar and his brother in the 1340s. The ensuing strife led to intervention by neighboring forces and this was backed by the exile of the younger brother to Cochin, the legend says Joseph Azar escaped to Cochin by swimming across the backwater, with his wife on his shoulders. He was followed soon after by his elder brother and his followers. Finally the neighbouring rulers intervended and dispossesed the Jews and their principality of Ajuvannam. 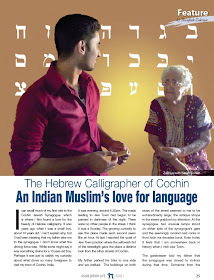 And they like other Jewish communities they came to Cochin probably to Kochangadi (which literally means “small market” and even interpreted as “Markets of Kocha” where “Kocha” was another names like Anjuvannam for Jews predominantly used in Cochin) where they would have built a Synagogue in 1344 A.D. They would have been mixed up with the Cochin Jewish population in a later stage. Principality of the Anjuvannam is not yet geographically identified exactly. But some were near to old Cranganore port and even there are chances of the Jewish settlement of Mala to be the geographically identified with Anjuvannam, but this is not proved and more research on this is required. “The Land of Perumal or Cochin, its past and Present”, by Francis Day 1863) And “Christian Researches in Asia” by Claudius Buchanan (Cambridge, 1811). One question. Bhaskara Ravi Varman died in 1021 CE. So how can he give the grant in 750 CE? I had made required changes in the article, and elaborated it a bit. for more information. I thank you very much for your question and which made me to rethink and to reach to the point. Hope you would be actively helping me to find such things...and help me for my future findings too. "if the plate at Cambridge university is Brass and engraved on both sides we can fix that he took the originals with him" Is this inaccessible even now. Although I also believe that the grant could not have been made earlier than the 10th century, I still have doubts if the original ones were on brass.Traditionally throughout India all such grants were made by issuing copper plates only. A place would not have been named after five castes (Anjuvanam). Kerala society at that time was having castes all over the country. So one village would not have been called Anjuvanam on the basis of caste. In all probability it was a name of a village, like Chingavanam. This is a controversial topic and i had just mentioned about the possibility and probability. Buchanan's attempt to fetch the manuscripts from Cochin had lead to a communal disturbance, finally his political influence helped him to get those and for few years from that the community complained about it to the foreigners who came to visit them. but there is no clear evidence for this case about the copper plates. some later historical records and Buchanan's books which mentions about the plate really brings about the ambiguity, whether it was copper or brass? the ambiguity he created would have been a part of his attempt to take it along with him. however, plates under the custody of Jews of Cochin is copper. The problem with Kerala historians is that they were satisfied with Kerothpathi and Nambuthiris and don't look beyond that. Anjuvannam has been mentioned along with Nanadesathisaiayirathu ainootruvar manigramathar and Aihole ainootruvar. The glorious period of Maritime trade was 850AD to 1300AD when Pallava - Cholas/Ummayids/Shan dynasties were ruling. Quilon/Calicut were great transhipment centers where the above trading guilds existed.Anjuvannam is the Tamilised form of Amuzuman-i-van probably a mutilated form of some semitic word. Kerala should shed its tendency to link everything with social anarchy of eighteenth century. I believe Anjuvannam refers to a maritime Indian ocean trade guild and could probably have been derived from the Farsi word Anjuman meaning- an assembly, association, gathering or meeting. Its roots are from the word najm (star). 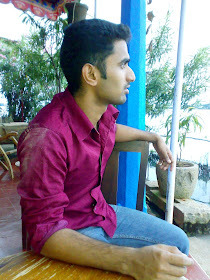 Hi thoufeeq, hope you remember me. I believe Anjuvannam refers to the maritime guild of Indian ocean traders just like Manigramam.It could have been derived from the Farsi word Anjuman, انجمن‎ whose root lies in Najm(star). Remember there are Parsi Anjuman & Anjuman-e-Islam. : Hermann Kulke, K Kesavapany, Vijay Sakhuja (eds)-Nagapattinam to Suvarnadwipa: Reflections on the Chola Naval Expeditions to South east Asia Singapore: Institute of Southeast Asian Studies ,2009. In south Kanara region there are numerous inscriptions referring to Hanjamana/Nakara Hanjamana guilds. 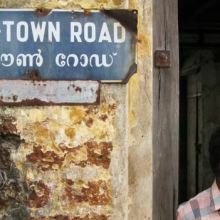 Anjuwarnam-the continuance of Jewish designation,adopted by the South Travancore Muslims(Lebbais/Lubbays), converts from Judaism ,when Islam became firmly established in South Kerala. The Lubbays(Mahomedans)of the South,prefix Anjuwarnam to their names in all their deeds and documents.This the author thinks is a continuance of the Jewish Designantion adopted by the Southern Mahomedans,who must have been converts from the Jewish faith after the establishment of Mahomedanism in South Keralam.